A new dental provider has said ‘factors outside their control’ contributed to current staff not being transferred over. 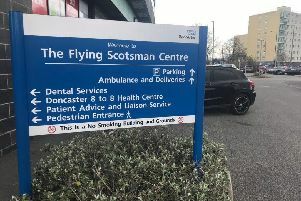 As reported by the Doncaster Free Press yesterday, over 20 staff at the Flying Scotsman health centre were sent home on Monday with full pay on gardening leave for ‘six to eight weeks’ until the situation is resolved. Previous provider Rotherham NHS Foundation Trust are paying the staff's wages. Dental services at the centre have been postponed. Taptonville House were awarded the contract after Rotherham NHS Foundation Trust declined to re-tender for the service. But the TUPE process, which is supposed to transfer staff working for the previous provider over to the new one, failed to materialise. 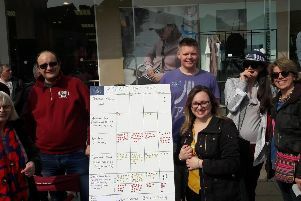 The debacle has prompted anger from union Unison and Doncaster councillors who fear for the future of staff. People are being advised to visit other centres for dental treatment until the new service has been registered by the Care Quality Commission. Caron Best, operations director for Taptonville House, said: “We appreciate this is a difficult situation for the employees and service users of the Flying Scotsman. “After The Rotherham Foundation Trust decided to stop running urgent dental care here, NHS England awarded us the contract, allowing us to step in and ensure the future of this service. “Unfortunately, due to factors outside of our control, the transfer process has been delayed, and we are working closely with NHS England and the Trust to rectify this as quickly as possible. “We want to reassure the people of Doncaster that they will still have access to urgent dental care services from our various other local sites, and the Flying Scotsman will open again as soon as it is registered by the Care Quality Commission.